Incredibles 2 on Digital Download and on DVD November 6th! I am sure you all remember when I visited Pixar Studios for the Incredibles 2 Press Junket. You can check out the I Have Powers, Producer Interview, and Creating the World of the Incredibles. 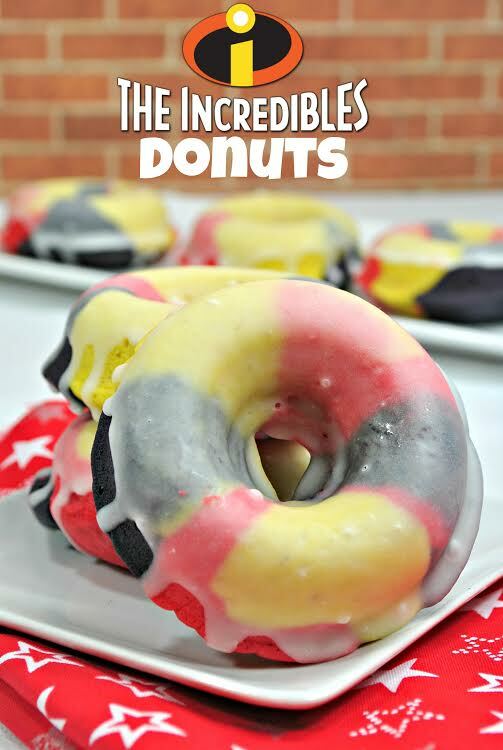 You can also find my Incredibles 2 Donut recipe here: Incredible Donuts. INCREDIBLES 2 – (L-R) Bob Parr and Jack-Jack. ©2018 Disney•Pixar. All Rights Reserved. The Parr family is all back but in an enhanced version with new outfits, attitudes, and more! 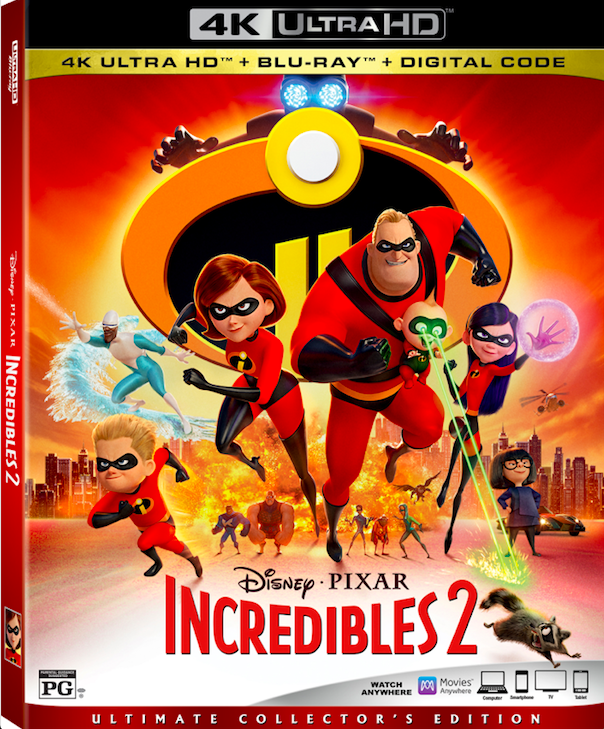 In Incredibles 2, Helen is called on to lead a campaign to bring Supers back, while Bob navigates the day-to-day heroics of “normal” life at home with Violet, Dash, and baby Jack-Jack whose super powers are about to be discovered. Their mission is derailed, however, when a new villain emerges with a brilliant and dangerous plot that threatens everything. But the Parrs don’t shy away from a challenge, especially with Frozone by their side. That’s what makes this family so Incredible. 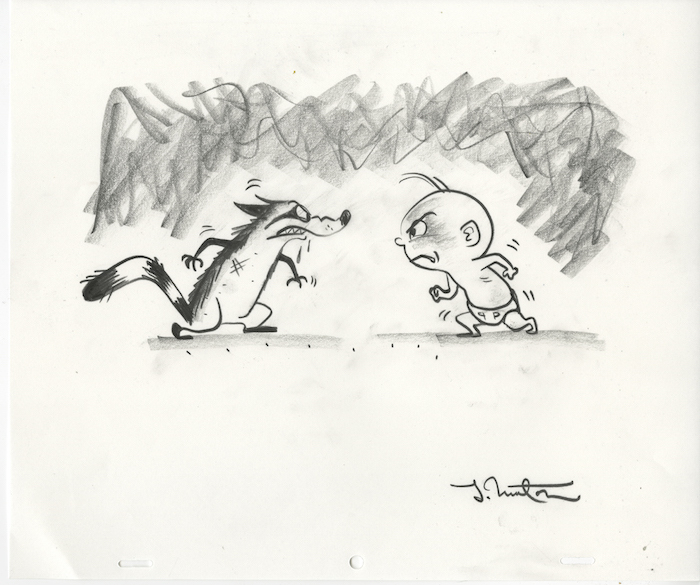 Concept art by Teddy Newton. ©2018 Disney•Pixar. All Rights Reserved. Family members of all ages will be hypnotized by hours of delightful entertainment, with never-before-seen “Incredibles 2” bonus material highlighting the beloved characters in the film and the filmmakers who bring them to life. When audiences instantly bring home the film two weeks early on Digital, they will receive additional exclusive featurettes, including two SuperScene Breakdowns and Samuel L. Jackson discussing his character Frozone a.k.a. “The Coolest Guy in Show Business.” Overall bonus includes an all-new mini-movie “Auntie Edna,” which gives a glimpse of fashion visionary Edna Mode’s all-night endeavor to design a suit to best harness baby Jack-Jack’s expanding super powers. Also included are an inside look at the impressive production team at Pixar Animation Studios; documentaries highlighting the film’s relatable characters and stand-out scenes; 10 never-before-revealed scenes; filmmaker commentary; the touching theatrical short “Bao” and a corresponding featurette about how the dumplings sprung to life; and much, much more. Holly Hunter and Craig T. Nelson return as the voices of Helen and Bob Parr, who still struggle to juggle their duties as parents and Supers. Sarah Vowell once again provides the voice of the teen-queen of sarcasm Violet, while Huck Milner joins the cast as the voice of 10-year-old Dash, and Samuel L. Jackson reprises his role as the voice of Lucius Best – aka Frozone. “Incredibles 2” also features the voices of Brad Bird as fashion visionary Edna “E” Mode, Bob Odenkirk as savvy businessman and Super fan Winston Deavor, Catherine Keener as tech pro Evelyn Deavor, Jonathan Banks as Rick Dicker, Sophia Bush as up-and-coming hero Voyd, and Isabella Rossellini as an influential ambassador and advocate for Supers. BE SURE TO PICK UP THE INCREDIBLES 2 ON DVD November 6th! It is available on Digital Download now!